So stoked on my new partnership with Lume Cube, these lights are going to be essential filming for Who is JOB 6.0. 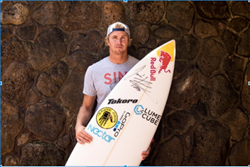 Lume Cube, a technology accessory company and emerging lifestyle brand, today announced its partnership with world-renowned professional surfer Jamie O’Brien. Like Lume Cube, Jamie is known for breaking the mold and has been doing so from an early age. In 2004, he was crowned one of the youngest champions to win the Pipeline Masters, at age 21, and continues to be a pioneer in the field of professional free surfing. Jamie has made countless on screen appearances throughout his career and currently stars in his own Red Bull TV series “Who Is JOB,” entering its 6th season. Most recently, Jamie was awarded the 2015 Oakley Wave of the Winter and won the Pipe Master qualifiers landing him a spot, once again, competing on surfing's biggest stage at the 2015 Billabong Pipeline Masters event. “We are extremely excited to welcome Jamie O’Brien to the Lume Cube family,” said Lume Cube CEO Mornee Sherry. “Jamie doesn’t only embody our brand's image through his passion for life and drive for greatness, but he represents the brand’s culture and core values through his dedication to family, and community. Like us, Jamie keeps a tight knit circle of lifelong friends around him, remaining true to his roots and the community that raised him. We couldn't be happier to grow with people of his caliber both in and out of the water”. Jamie and Lume Cube connect with the hope to push the limits of content creation. Jamie is known to live life to the fullest and has never let the night put a damper on his fun, something that is well documented in the series “Who is JOB.” Expect to see Lume Cube to lighting up Team Grom’s shenanigans that are sure to continue long after the sun goes down. The first of its kind, Lume Cube is a powerful and ultra-portable lighting tool that will open new creative possibilities for photographers and videographers of any skill level. Controlled via a smartphone app on both iPhone and Android devices, the Lume Cube is built for those looking to get the most out of their GoPro’s, smartphone cameras, action cams, traditional digital cameras and all other casual capture devices™. To commemorate the beginning of this partnership, Lume Cube and Jamie have teamed up with Nectar sunglasses and some of Jamie’s other key sponsors to throw one BIG GIVEAWAY! The giveaway is now open at http://www.lumecube.com/giveaway and will close on February 29 at midnight. The grand prize winner will receive over $1,100 of gear including a Tokoro Surfboard signed by Jamie O’Brien himself, a Lume Cube GoPro kit, GoPro Hero 4 Silver Camera, Nectar Sunglasses and more! The giveaway is free to enter, the winner will be selected at random and announced on March 1 2016.